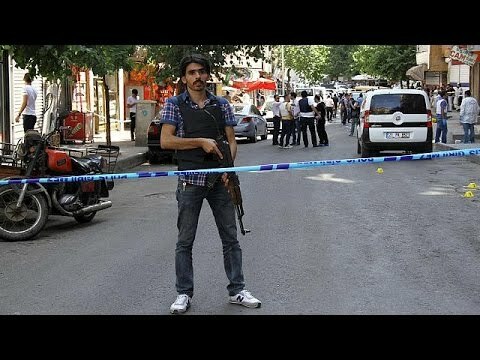 Turkey enters war on ISIL w/ airstrikes: Does AKP Fear losing Snap Election? Turkey at long last entered the struggle against Daesh (ISIL, ISIS) on Thursday. It gave the US Air Force permission to bomb sites in Syria from Incirlik Air Force Base. (The US has long had use of this base as part of Turkey’s NATO commitments, and it was used against Saddam Hussein in the Gulf War; but Turkey had declined to let it be used against Daesh in Syria). Being able to bomb Raqqa from Incirlik will allow the US to be far more efficient, since Incirlik is not that far from the capital of the phony caliphate. 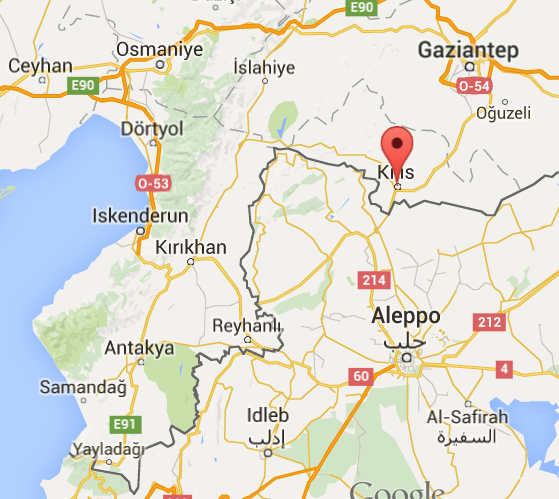 But beyond allowing the US to bomb Syria from Turkish territory, Turkey itself scrambled F-16s and bombed Hawar, just across the border from the Turkish town of Kilis. During the past year, the government of Turkish prime minister Ahmet Davutoglu has been remarkably passive in the face of advances by Daesh (ISIS, ISIL). Mosul fell, Palmyra fell, Ramadi fell. Turkey even had a direct border with Daesh at Tel al-Abyad. It seemed as though almost anything was more important to Ankara than fighting the growing Daesh threat. It worried about Syria’s Kurds and their growing semi-autonomy, lest that development put separatist ideas in the heads of Turkey’s Kurds, some 20% of the population. (In opinion polling, only 2% of Turkish Kurds say they have separatist ideals, so Ankara’s obsession about this menace is out of proportion to the actual challenge. It would be better off taking the money it spends on securing southeastern Anatolia and making some factories out there to ensure that part of the country develops economically). Ankara also worried about the Bashar al-Assad government in Damascus and wanted to pressure the US into removing it first before moving against Daesh. The US was afraid that if it assaulted the Baath regime directly, al-Qaeda-linked organizations like the Support Front and Daesh might sweep into Damascus. But Ankara is finally in play against Daesh. Why? Well, Daesh seduced a couple of Turkish youth for the horrific bombing of Suruç near Kobane on Monday. It thus challenged the ruling Justice and Development Party (AKP) for the allegiance of Turkey’s religious Muslims and it hit Turkish soil. Since Suruç is predominantly Kurdish, it also attempted to make trouble for Ankara with Turkey’s Kurds, many of whom blamed AKP for being soft on Daesh and being poor at providing security to the country. In the aftermath of the Suruç attack, several Turkish cities were shaken by Kurdish protests. The Kurds weren’t sure whether the AKP was only soft on extremist Muslim terror, or whether it deliberately allowed Kurds to get blown up, or whether this was a false flag attack and the government was actually behind it. The opposition press, especially newspapers favoring the closed, religious Gulen movement, which had broken with the AKP, attacked the AKP for failure to provide security. Then on Wednesday Turkish border personnel took shelling from Daesh on the Syrian side, and Turkish tanks fired right back into Syria. Prime Minister Davutoglu appears to have finally come to the conclusion that Daesh is a genuine danger to Turkey, and that the threat is growing, and that simply trying to remain neutral will no longer forestall the threat. Hence letting the US bomb Raqqa from Incirlik Base and hence bombing Hawar with Turkish fighter jets. But it likely is not merely the deteriorating security situation that is driving these changes. Although Turkey just had parliamentary elections in May, it faces a hung parliament, where no party is able to form a coalition to get to 51 percent of seats. In parliamentary systems, a hung parliament requires a snap election. So the AKP may be going back to the polls. Likely the turnout won’t be as great, since people will be tired of voting. But last time the pro-Kurdish Peoples’ Democratic Party (HDP) got 13 percent of seats and blocked the AKP from having an absolute majority. Kurds are mobilized as a result of the Suruç bombing, and if Turks don’t turn out to vote because of fatigue, the HDP could even improve its position in a snap election. If the centrist, secular party, the People’s Republican Party (CHP), the Kurds and the Gulen movement all lambaste Davutoglu as soft on Daesh and flat-footed when it comes to security, they could shrink the AKP share of seats even further in a hypothetical snap election. Davutoglu and his mentor, President Tayyip Erdogan, thus faced enormous pressures to act against Daesh, and the political future of their center-right, religiously tinged party is a stake. Not only did he have the Turkish Air Force bomb Syrian soil (albeit only kilometers from the Turkish border), he also gave the Americans the run of Incirlik. The AKP appears to be frantic about losing seats in a snap election, and needed to act dramatically to underline its security credentials. But whatever the reasons, Turkey appears finally to have prioritized destroying Daesh. This turning point could be huge in the struggle against Daesh.